Art Estopinan, from Baltimore, praised President Trump for offering free care to Charlie after his parents ran out of legal options to keep his life support on. It comes after Pope Francis called for Charlie’s parents to be allowed to “accompany and treat their child until the end”. Mr Estopinan’s son Arturito was diagnosed with a similar mitochondrial depletion syndrome to Charlie and was the first person in the US to receive the experimental and pioneering nucleoside therapy. Now, six years later, he can move his hands, fingers, feet and arms and is a “strong and happy boy” after previously being told he had just two months to live. Meanwhile, Chris Gard and Connie Yates, both in their 30s and from Bedfont, west London, are fighting for ten-month-old Charlie to have the same life-changing treatment in the US. Mr Estopinan has put Charlie’s parents in contact with the Columbia University Medical Centre in New York. The 51-year-old government consultant said: “Our son was told he would only have two months to live. "This is a very rare genetic muscular disorder and with all due respect to all of the great doctors at Great Ormond Street Hospital this disease isn’t well known amongst these doctors. “We were told to go home, he’s going to die, there’s nothing you can do, don’t even look at the internet. He continued: “My son has been on a ventilator for 5 years. He’s getting stronger. "When he got home four years ago he couldn’t move anything, only his eyes. Now he can move is hands, feet and fingers, he’s a happy boy. Mr Estopinan added: “President Trump has saved him. He was set to die yesterday morning. “We feel very fortunate to be American and not British – because if we lived in the UK Arturito would surely be dead by now. "We are beyond shocked that doctors in the UK are saying Charlie should ‘die with dignity’. 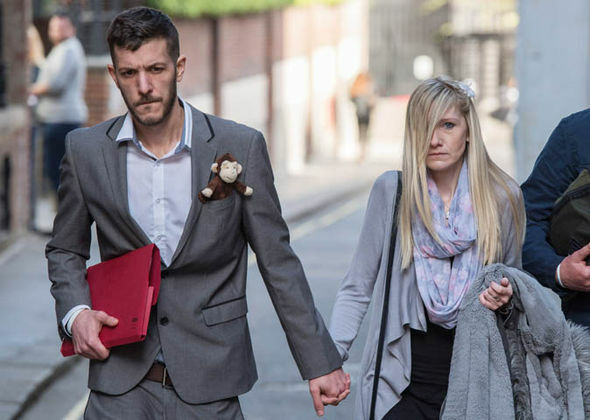 Charlie Gard’s parents have run out of legal options to keep him on life supportCharlie was due to have his life support switched off last week but has been given more time by doctors at Great Ormond Street. 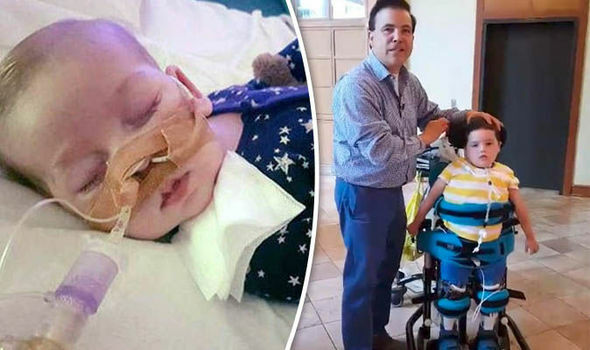 The parents have been fighting with doctors to have their terminally-ill son travel to the US for pioneering treatment. The European Court of Human Rights backed British doctors who said it would be kinder to let the tot die. Medical experts diagnosed Arturito had TK2 mitochondrial DNA depletion syndrome, a rare genetic disease which causes muscle weakness. But Charlie’s type is even rarer - he is believed to be only the 16th known sufferer in the world. Doctors have also diagnosed Charlie with severe irreversible brain damage. Charlie’s plight has touched people around the world and the family received more than £1.3million in donations to take him to the US for therapy. Charlie would need Great Ormond Street doctors to waive their legal ban won in London and Strasbourg to allow him to fly to America for treatment.